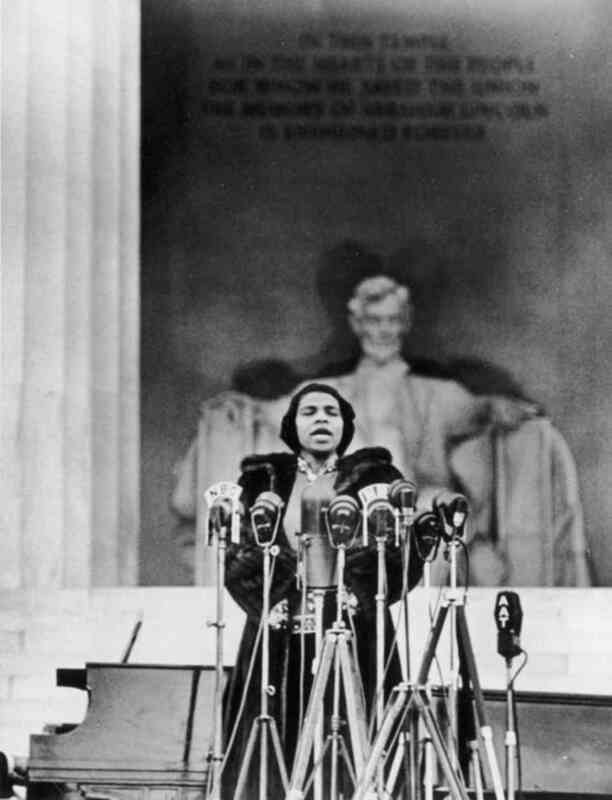 April 9, 1939 – On an Easter Sunday, more than 75,000 people come to the Lincoln Memorial in Washington, D.C., to hear famed African-American contralto Marian Anderson give a free open-air concert. She had been scheduled to sing at Washington’s Constitution Hall, but the Daughters of the American Revolution, a political organization that helped manage the concert hall, denied her the right to perform because of her race. Instead, and at the urging of Eleanor Roosevelt who had resigned the DAR in protest of their decision, Marian performed at the Lincoln Memorial.